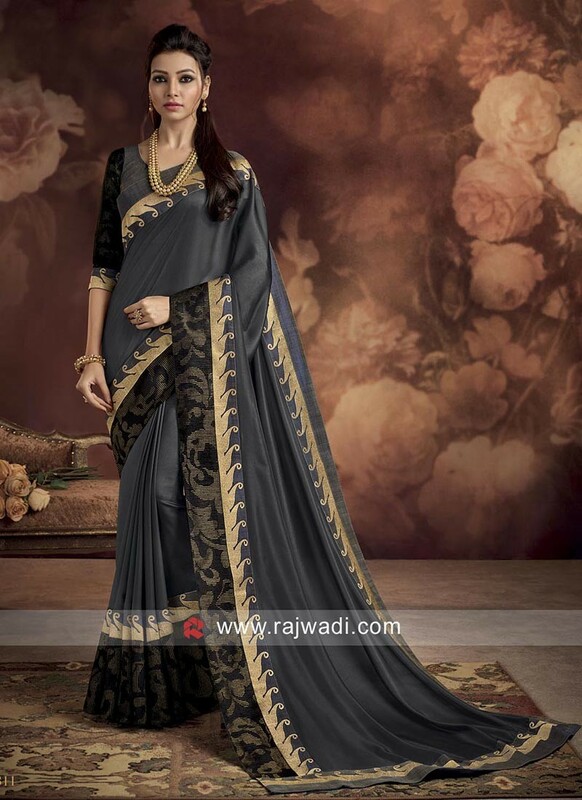 Dark Grey plain Butter Silk Saree adorned with contrast black designer border for a great party wear look. Comes with Black and Grey fancy Silk blouse piece. Wedding Heavy Work Saree ..
Royal Blue Flower Work Sa.. Pink Banarasi Silk Saree ..
Patola Silk Saree with Ta..